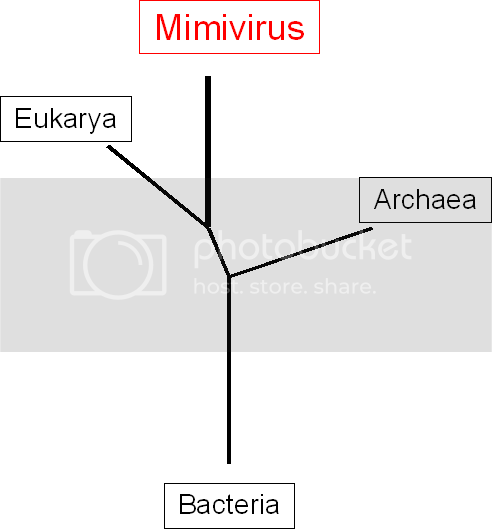 It is believed that even before bacteria formed, that this type of virus started life as we know it. All life is believed to have come from this virus. There was an hour long special on National Geographic Explorer about this; I was really interested because as I was flipping through the channels I heard a brief blip "and when they found the same virus in the human female umbilical cord as the sheep..."
So I recorded it at 2am so I could watch it in the afternoon. Turns out there there is a virus which is needed for any pregnancy in mammals to be viable. The virus lives in the umbilical cord only and no place else. They are still trying to figure out what exact the virus does. What amazed me even more is that viruses can infect sperm and eggs with out killing them. The retroviruses then transfer their DNA in to our DNA. This explains all the "junk DNA" which scientists have previously skipped over and filtered out from stains. Now they are taking a closer look at all the virus DNA which has been piggy backing on our DNA for millions of years. Not quite the predecessor of life as suggested in the OP. hmmm the article information and the graphic don't support each other. I find them confusing.